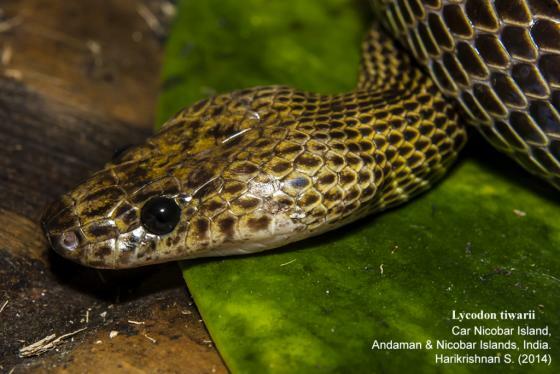 Can you confirm these amateur observations of Lycodon tiwarii? Comment Distribution: Not listed in the key of LANZA 1999 (although the paper is cited!). Has been reported from the Nicobar Islands but is not listed by DAS 1999 for the Nicobar Islands. 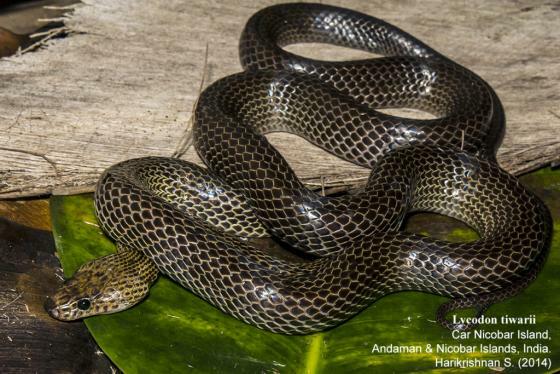 Though the species was originally described from a specimen that is reportedly from North Andaman, it has never been recorded in Andaman since. However, it is known to occur widely in the Nicobar Islands. The Zoological Survey of India collection has many specimens with erroneous localities (Vijayakumar and David, 2006; Harikrishnan S., pers. comm. 6 Feb 2010).